Will spy scandal in Belarus push Lukashenko towards Russia? The current complications between Ukraine and Belarus related to the spy scandal and Minsk’s voting at the UN General Assembly on the Ukrainian resolution on human rights in Crimea, will not lead to a significant change in relations between the two countries, experts believe. This is due to the fact that Ukraine and Belarus have always tried to draw their own benefits from their interaction, while not having common goals. 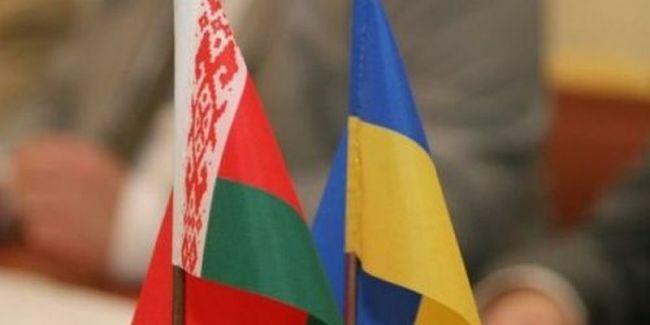 Alexander Fadeyev, Head of the Department of Belarus of the Institute of CIS countries drew attention to the fact that this is not the first aggravation of relations between Minsk and Kiev in recent years. He recalled last year incident when a plane belonging to Belarusian airline Belavia was returned at the request of the SBU, Ukrainian Security Service. "Yes, there have been incidents before that show that Belarus and Ukraine have not managed to establish strong, friendly and trusting relations either under the old regime in Kiev or under the new authorities. It is clear that although Minsk and Kiev demonstrate their friendship in public, in fact they are guided by their national interests trying to earn their own capital from the current political moment. For example, Minsk has largely used the events in Ukraine to improve its relations with the European Union. So, I would rather not talk about existence of a certain Ukrainian-Belarusian brotherhood at the level of elites," Fadeyev said. He noted that the fact of disclosing the spy network, on which the Belarussian KGB insists, for a long time has been hidden from the public. "This was not made public until the Supreme Rada started talking about "backstabbing" by Minsk (this was stated by the vice speaker of the Supreme Rada of Ukraine Irina Gerashchenko, responding to the vote of Belarus in the UN General Assembly on the Ukrainian draft resolution on human rights in the Crimea – note by EADaily). Obviously, patience has run out in Minsk, and they showed that the real backstabbing was the creation of a spy network by Ukraine," Fadeyev said. In his opinion, Belarus also decided to divulge the scandal due to the fact that the positions of Petro Poroshenko in Kiev were shaky. "Apparently, they thought in Minsk, that Poroshenko had unreliable political positions, that's why they are acting like that. If they were sure that Poroshenko is here to stay, it is unlikely that they would exacerbate this espionage scandal," Fadeyev believes. The expert also assessed whether this aggravation could in any way affect the status of Minsk as a negotiating platform for the Donbas. The Minsk platform, he said, is not Kiev’s initiative, but an international achievement, and none of the international players will now offer Ukraine an alternative. Mikhail Aleksandrov, a senior expert at the Center for Military and Political Studies of the Moscow State Institute of International Relations (MGIMO) believes that there still will be consequences of the spy scandal. "Lukashenko is most concerned about the issues of retaining one's own power, and the activities of the Ukrainian intelligence agents operating in Belarus were aimed at creating an underground structure that would act as a ram to overthrow Lukashenko's regime. Lukashenko believed he could play on the contradictions between Russia and Ukraine, Russia and the West, but ultimately this game led to the fact that they began to undermine his own positions. After it turned out that Ukraine was conducting subversive activities against him he will not be able to maintain relations with Kiev in full. This once again demonstrates that the policy of balancing may end badly, and he will probably stop sitting on the fence and start supporting Russia, which, at least, is not plotting against him. I hope that this will happen," Aleksandrov concluded. As for the Minsk process, according to the expert, it is already at an impasse, and it is unlikely that something can further worsen the situation. Bogdan Bezpalko, Member of the Council on Interethnic Relations under the President of the Russian Federation, is sure that Minsk will try to make the most of this scandal in its own interests. "On the one hand, in summer most Belarusian MPs voted at the OSCE PA in favor of a resolution that condemns Russia. On the other hand, now Belarus has finally supported Russia, and within the framework of this scandal, it can always declare that it thus shows allied obligations towards Russia. All this, of course, is an illusion, because a real alliance must be expressed in real military-political cooperation, in the deployment of military bases, the creation of a single currency, single economy and single ideology aimed at uniting the two countries in the Union State. None of it is there and, apparently, is not expected in the near future," Bezpalko said. In general, in his opinion, the Ukrainian-Belarusian relations will not undergo serious changes. “The trade links will continue developing the way they did in the past. Scandals of this kind are easily leveled by real economic benefits," he said. As for the Minsk process, according to Bezpalko, it does not work even without any additional negative factors. As EADaily reported earlier, on November 17, it became known that on October 25 the Belarusian KGB detained Pavel Sharoiko in Minsk, a Ukrainian citizen working in Belarus as an UA: Ukrainian radio correspondent on suspicion of espionage. In addition, Igor Skvortsov, an employee of the Ukrainian Embassy in Minsk was announced persona non grata for activities "incompatible with his diplomatic status." According to the Belarusian counterintelligence, he was the Ukrainian resident for whom Sharoiko worked. Earlier, the relations between Kiev and Minsk were marred by a vote at the Committee on Social, Humanitarian and Cultural Affairs of the UN General Assembly, where the Ukrainian draft resolution on the human rights situation in the Crimea was under consideration. 71 countries voted for the draft, 25 against. Including Belarus, which caused a negative reaction in Kiev? Vice Speaker of the Supreme Rada Irina Gerashchenko accused Minsk of betrayal, and Igor Miroshnichenko, one of the leaders of the Ukrainian nationalist party "Svoboda" even called for carrying out terror attacks in the territory of Belarus. A little later, Ukrainian MP Svetlana Zalishchuk made a proposal to create blacklists for Belarusians.